1. Standard Vertical Injection Molding Machine, vertical, direct pressure clamping, vertical injection, small footprint, smart precision, suitable for small and medium-sized injection molding injection. Double cylinder injection system, high injection pressure, fast firing rate, the best choice for insert molding. The type of fixed, the type of activities. For good positioning of the insert, there is a finished product ejector. 2. Standard Vertical Injection Molding Machine stress distribution. Low-voltage protection is accurate, the whole trip smooth and excellent. 3. Scalable program design, and automated embedded, remove the device connection, to achieve automatic operation. According to the characteristics of embedded parts and performance requirements, to achieve the minimum input maximum output purposes. 4 electronic control, hydraulic parts with brand name, quiet, precision, durable; automatic fault display, easy maintenance; optional servo energy-saving motors. 5. In-line screw-type injection device. Multi-stage temperature control, multi-stage injection pressure, fire rate, back pressure stepless adjustment, suitable for precision plastic parts molding. 6. Two (three) temperature control, firing rate, back pressure, screw speed without adjustment, suitable for all kinds of precision engineering plastic parts molding. 7 low-pressure open mold device, to ensure mold safety. Hydraulic ejector with finished product. 8. Shooting base can be automatically lifted and down, and has an automatic material removal device to facilitate the mold, the replacement of raw materials. 9. Standard vertical Injection Molding Machine, can be equipped with single-slide or double-mode alternative skateboards to increase the work efficiency and efficiency. Suzhou Lizhu machinery co., LTD is located in the suzhou gusu outside of Yangcheng Lake,and seat in High technology industry zone,traffic is very convenient. Suzhou Lizhu machinery co., LTD., under the guidance of "meet the demand of users at domestic and abroad, manufacture high speed precision vertical injection molding machine" business philosophy, constantly extension. Innovation. Development, continuous introduction of new advanced design concept, the pursuit of the supreme good to beauty products, make its own technology and product quality to achieve world-class level. Company regard product quality as the company's reputation and self-esteem, relying on talent cultivation and accumulation of technology import and continuously according to the market and customer requirements, continuous optimization, improvement and development of high-tech products. The company took the lead in the domestic market launch of "hybrid" high-speed machine, products are mainly for precision photoelectric industry products, such as: LED stent, LCP connectors, Smart Card (memory Card), digital camera media Card, guide plate, ultra-thin, micro electronic products, and precision gear, etc. 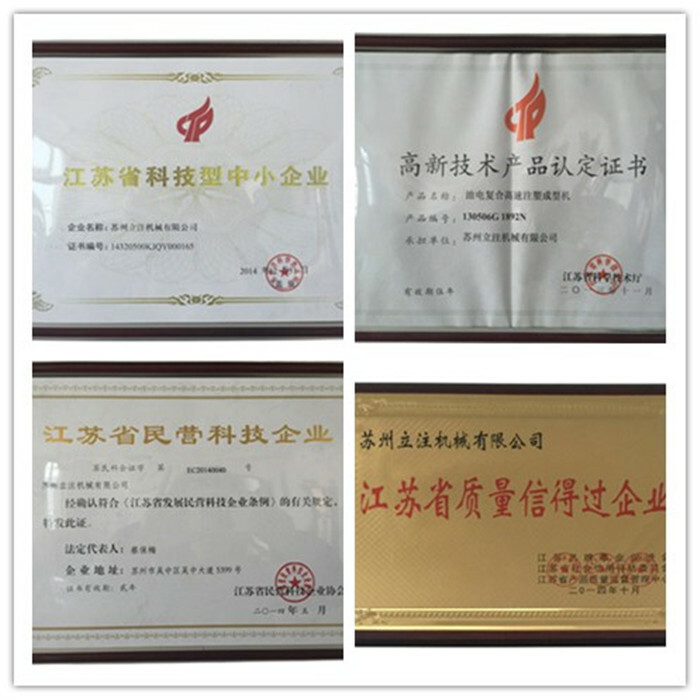 Won the praise positive response and enterprise production of products, especially the superior price competitiveness, and matched the import machine of technical level. Looking for ideal Small Injection Machine Manufacturer & supplier ? We have a wide selection at great prices to help you get creative. All the Small Plastic Machine are quality guaranteed. We are China Origin Factory of Small Molding Machine. If you have any question, please feel free to contact us.